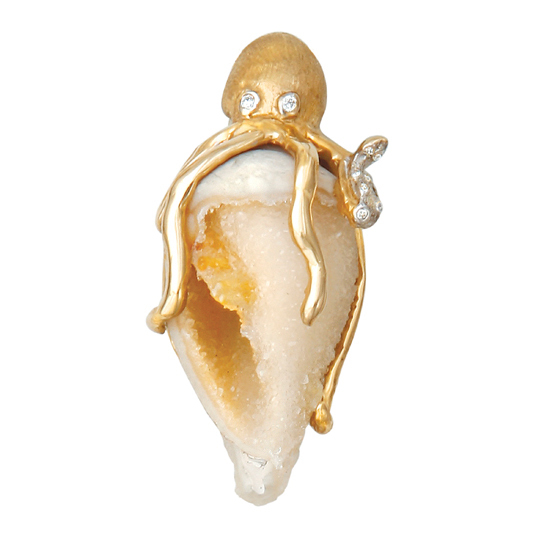 14Kt Yellow Gold Octopus on Drusy Shell with .06TW of Diamonds. Handmade One-of-a-Kind. A Cedar Chest original design.